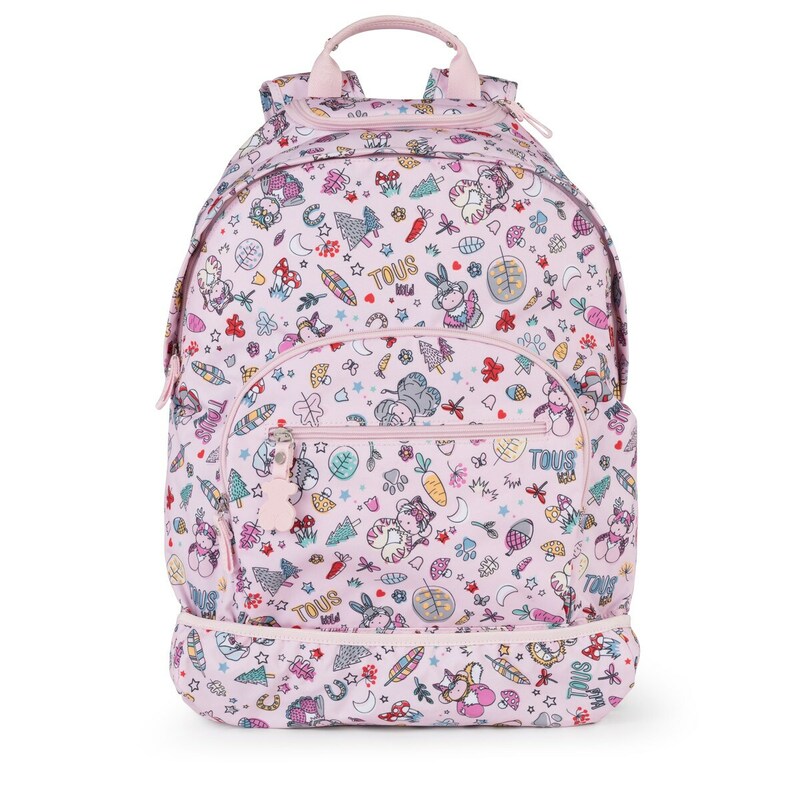 We reinvented the TOUS icons in a hugely tender backpack. You’ll always want it with you. 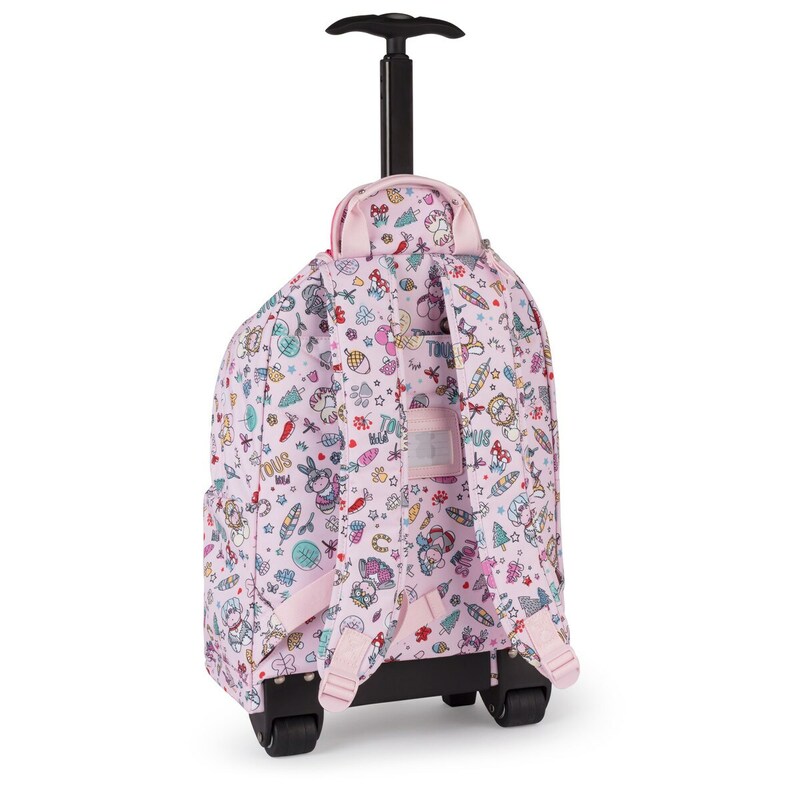 Medium TOUS School Playground backpack with wheels in pink nylon. 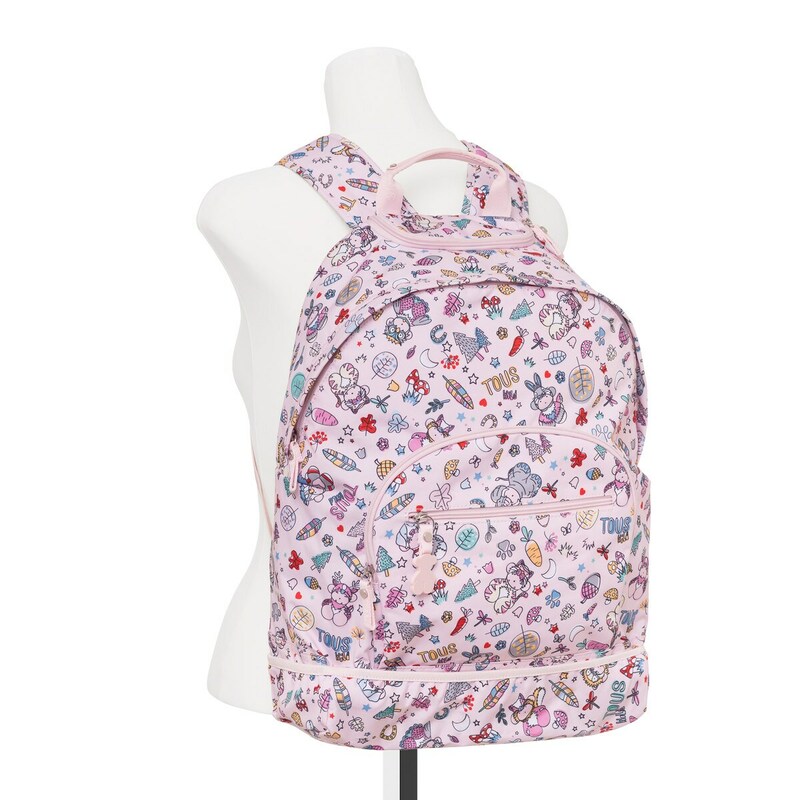 Handle and adjustable shoulder straps. Zipper closure. 2 exterior pockets with zipper. Interior pockets: 2 cellphone-sized pockets and 1 pen-sized pocket. Measurements: 41x31x14 cm.